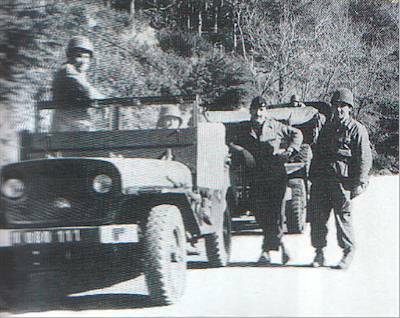 The Delahaye story is important in helping to understand why Hotchkiss ended up manufacturing jeeps for the French army up to 1966 based on the WW2 Willys MB. 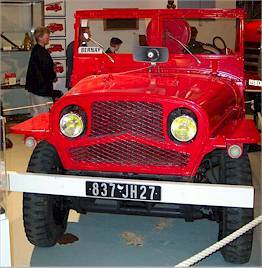 After the war the French army was re-established with vehicles that had become surplus to US requirements. Although many were in ‘war-torn’ condition there was a plentiful supply of spares available for them and they were cheap. 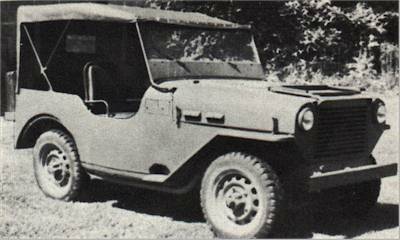 The quality and quantity of WW2 jeeps was improved by the government workshops of E.R.G.M. at La Maltournée near Paris. In 1946 that they started rebuilding worn out jeeps some of which had been recovered as scrap vehicles abandoned in France. The second step came in 1947 when, despite the poor economic conditions and shortages, the French army announced an ambitious programme to replace its WW2 stock with a new generation of French designed and built vehicles. The range was to include a ¼ tonne 4x4, a larger ¾ tonne 4x4, a 1.5 tonne 6x6, a 3 tonne 6x6, a 6 tonne 6x6 and a 12 tonne 8x8 tractor unit. 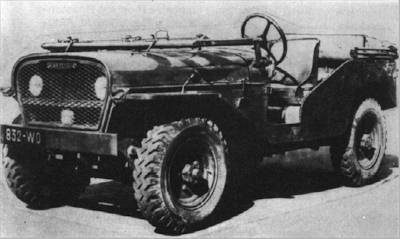 Delahaye took on the development of a new jeep while their long time rivals at Hotchkiss developed the larger ¾ tonne 4x4. Whilst Hotchkiss' prototype ¾ tonne 4x4 ended up remarkably like the Dodge it was replace, Delahayes jeep made a giant technological leap forward. The prototype Delta was developed during 1948 with both military and agricultural markets in mind and it was ready for inspection by the next year. The military version then underwent several revisions in design as it was tested between1949  1950. 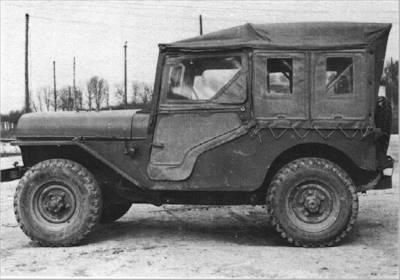 The army finally adopted the resulting production model in 1951 and designated it the VLRD (Voiture Légère de Reconnaissance Delahaye - 1951 model). Its sophisticated features included adjustable four wheel independent torsion bar suspension, four speed synchromesh transmission with high / low gear ratios and differential locking capability, aluminium dry sump engine and 24 volt electrical system. Whilst the '1951' model represented cutting edge technology its sophistication and high performance proved problematic. It had survived punishing trials where it had been well maintained and in the hands of experienced drivers. Service reality was somewhat different where lack of adequate maintenance led to breakdowns and a lack of adequate driver training led to accidents. It would appear that even the need for a basic driver instruction manual was initially overlooked. 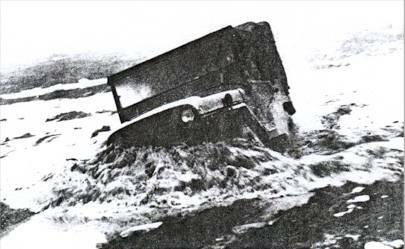 Poor road holding and problems with the differential locks were often blamed for causing accidents but in reality over-confidence and a lack of driver training on a high performance off-road vehicle were the more likely causes. Delahaye accepted that there were mechanical and quality control issues with the 51 model which they tried to put right with the 1953 model (opposite). Improvements included the complete redesign of the differential linkage and control system, better seats etc but problems with the overall design (and the drivers) remained so Delahaye started work on designing a completely new vehicle, the Cob. There is clear evidence on my Delahaye that the army ultimately removed the linkages and immobilised the differential locking system altogether. Probably most, if not all, VLRDs were modified in this way on the basis of now try blaming the differential locks for your accident! 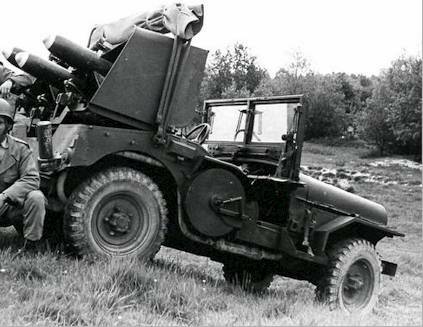 The prototype Cob was delivered for evaluation during 1954 but was not adopted as the army now doubted the wisdom of employing any more over-sophisticated high performance vehicles. This also meant the end of an even more sophisticated VLR being developed by Peugeot. In financial difficulties, the Delahaye company was rescued by Hotchkiss through a 1955 merger to create la Société Hotchkiss-Delahaye. 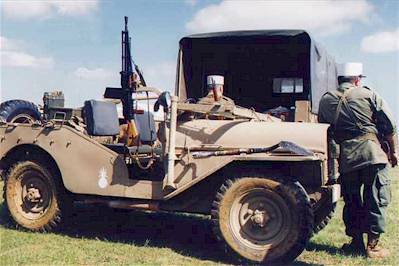 All of this played right into the hands of Hotchkiss who had secured the licence from Willys in the US to make parts and jeeps under licence in France. 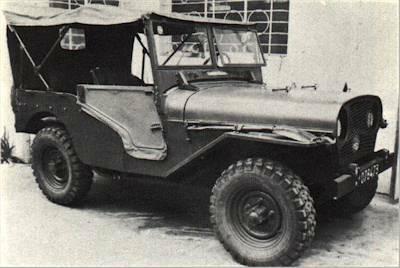 Later in the same year the army announced its decision to retain its stock of WW2 jeeps and get Hotchkiss to make more under licence. The factory at Rue de Banquier in Paris produced just 9623 Delahaye jeeps in total, most were the military VLRD but a small number of civilian 12volt variants were produced in the form of the VLRC-12. The civilian version proved too expensive to be popular compared with plentiful supply of cheap war-surplus jeeps. 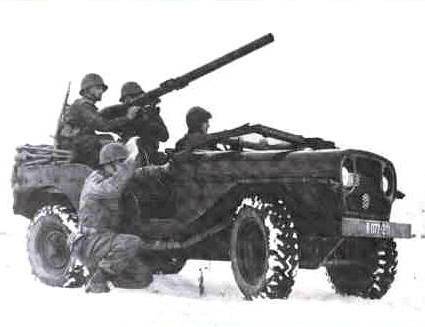 Hotchkiss would go on to find the same problem when it came to finding a market for the civilian version of the M201 as well. 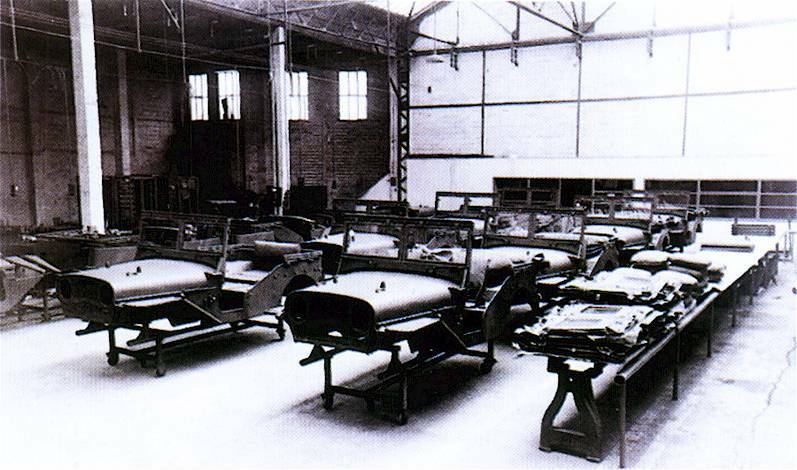 I have been unable to locate a photo of the Delahaye factory but thanks go to JLM for finding a photo of body shells which were produced for Delahaye by Facel also in Paris. 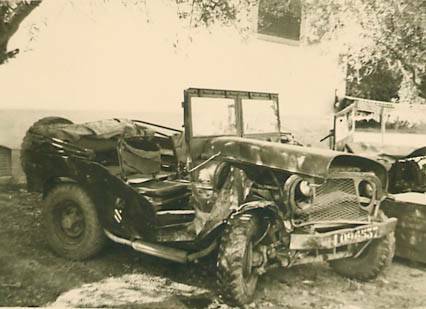 Like Hotchkiss M201 jeep, photographic evidence suggests that most Delahaye jeeps served in standard form but like the Hotchkiss some were armoured, converted for radio or even as weapons carriers. 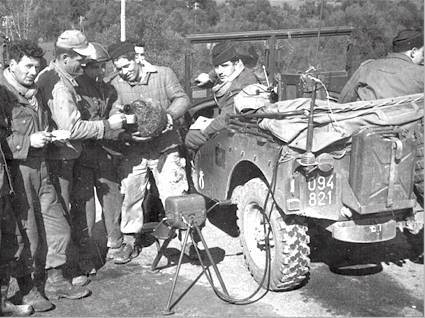 My research has shown that, in military service, Delahaye jeeps were given six digit registration numbers typical of the 1950s period. These included the following series: 077- nnn, 078 - nnn, 079 - nnn, 080 - nnn, 087 - nnn (part), 094 - nnn, 095 - nnn, 096 - nnn, 098 -nnn, which probably accounts for all that had military registrations. It is difficult to tell how many of the 9623 VLRs made still survive today but I doubt that it is very many. They are difficult to work on and spares are very hard to find. When they were demobbed some found agricultural or commercial use e.g. as a recovery vehicle and I am told that they also found popular use as competition hill climb vehicles and off-road vehicles which is where many will have met their end or fallen into a state of disrepair before being left to rot away in a field. Some, of course, were destroyed in active service!